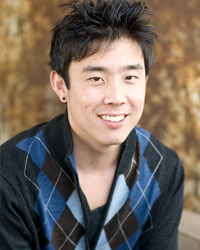 Jeffrey Gee Chin grew up in Marin County where he began his personal film endeavors. In 2005, he retraced his ancestral roots in Southern China with the Chinese Cultural Center’s In Search of Roots Program. He produced a documentary on his experience; excerpts of his film were screened on ABC’s Good Morning America. 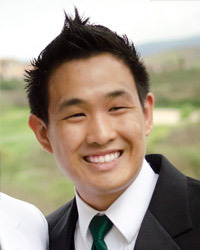 Jeffrey is a ’08 Honors Graduate of University of California, Berkeley’s Film Studies. One of his major passion projects revolves around the history of Dark Ages of Chinatown. He completed his Honor Thesis, a research project exploring the history of the 1920’s-30’s Chinatowns, specifically New York and San Francisco. Many of his narratives revolve around this history including the journey of an unsung Woman Warrior of NYC Chinatown. Since 2009, Jeffrey produced an ongoing documentary series on Angel Island, the “Ellis Island of the West,” highlighting the stories of previous detainees at the newly renovated immigration station, and worked as a media production technician with SFGOVTV, the C-SPAN of San Francisco. Over the past two years, Jeffrey produced his first live-action narrative short, LIL TOKYO REPORTER; a 1935 period film on a controversial Japanese American Civil Rights Leader in Los Angeles. The project was inspired by over four years of research with the Little Tokyo Historical Society. Jeffrey feels blessed to work with such talent and hopes to one-day share additional narratives about the early immigrant experience. He will be attending USC Graduate School in Cinematic Arts in January 2013 to continue development on his narratives set in 1920-30s NYC Chinatown and an expansion of LIL TOKYO REPORTER. He encourages everyone to take pride in our American heritage and to support the history of the forerunners who helped build our country. As a student at UCLA Mayon Denton started his own Production Company, DRG Films. He has produced music videos, commercials, documentaries and feature films. Over the last five years, Mayon has written, directed and produced numerous projects. These projects have allowed him to gain knowledge and grow into the passionate filmmaker that that he always envisioned himself to be. One of Mayon’s noteworthy project to date is a feature length documentary entitled “A Love Supreme,” a story that focuses on the evolution of Los Angeles’ Hip Hop Culture. The project featured one of L.A.’s most recently successful hip hop groups, “U-N- I.” It was screened at the MGM Towers in Los Angeles, inside of the International Creative Management Theater (ICM). “A Love Supreme” received distribution and was sold in Target and Best Buy. Mayon is currently producing a pilot entitled “How to Succeed at Birth” as well as a short film called “Lil Tokyo Reporter.” The latter is a 1935 period piece about a Japanese American activist. 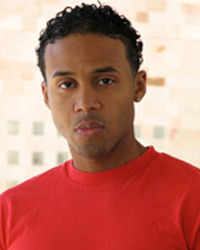 He’s also attached to produce two feature films, “Spin” and “Wait a Minute Mr. Postman”. Michael Iinuma is a fourth generation Japanese American filmmaker and actor who is fascinated by his family’s political history in America. He graduated from the University of California at Los Angeles with a Bachelor’s Degree in International Development Studies. While at UCLA, he was a member of the Nikkei Student Union, a Japanese-American cultural organization closely linked with the Little Tokyo Service Center. He was the Nikkei Student Union’s Annual Cultural Night director and co-writer from 2007 through 2009. He received acting training from the nation’s premiere Asian American theatre East West Players, and recently completed production as a producer on a feature-length film titled Against the Grain. Michael’s goals are far-reaching as he continues to hone his craft as a storyteller, exploring themes in Japanese-American history and sharing them with the world. Fumiko Carole Fujita is a third generation Japanese American activist, retired Pharmacist, and filmmaker. She attended the University of California at Los Angeles for undergraduate studies prior to earning a professional doctoral degree from the University of Southern California School of Pharmacy in 1965. She worked for the County of Los Angeles for 33 years, serving as Pharmacy Director at the Los Angeles County Long Beach Comprehensive Health Center and as Assistant for Recruitment to the County’s Pharmacy Director. During World War II, Carole spent the first two years of her life in internment camps, at the Santa Anita Assembly Center in California and the Rohwer Relocation Center in Arkansas. She credits the injustice of internment, experienced by her family, for inspiring her to work to change political climate while employed by the County. While there, she addressed two cases before the Civil Service Commission, to correct the under- representation of women and Asian Americans in pharmacy administration. 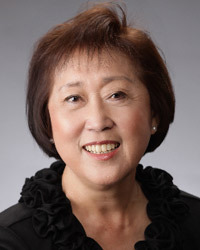 Since retirement in 2002, Carole has volunteered, provided training, consulted and actively served at several noted Southern California non-profit organizations including the Go For Broke National Education Center, the Japanese American National Museum, Keiro Senior Health Care, and currently, the Little Tokyo Historical Society (LTHS). In 2010 LTHS and the Japanese American National Museum sponsored “Japanese Hospital: Caring for the Pre-War Nikkei Community,” a seminar for which Carole did research and was a project coordinator. This program recounted the Japanese American community’s struggle for medical care in the 1920’s, resulting in the establishment of the Japanese Hospital in Boyle Heights in 1929, a milestone led by a ground-breaking Japanese American community leader and early Civil Rights pioneer, newspaper publisher Sei Fujii. Upon learning of Fujii’s many remarkable achievements, Carole was motivated to partner with screenwriter and director Jeffery Gee Chin, to develop and produce the narrative short film, “Lil Tokyo Reporter” – to honor the accomplishments and share the true story of Sei Fujii. Carole worked closely with Jeffrey to produce an accurate depiction of the Japanese American community in the 1930’s Los Angeles. She looks forward to sharing “Lil Tokyo Reporter” with broad audiences and hopes people will be inspired by the selfless journey of American Civil Rights Leader Sei Fujii.